Red Cup may have been selected as the working title for Disney and Lucasfilm’s Han Solo anthology pic early on production – fitting, really, given the Solo Cup Company is the source of those little pieces of polystyrene – but make no mistake, Ron Howard’s Star Wars spinoff is yet to reveal its official title. All signs currently point to an announcement at the annual D23 event this coming weekend, where the Mouse House is also expected to showcase a behind-the-scenes sizzle reel for Star Wars: The Last Jedi. It’s a tactic that Disney called upon while promoting both The Force Awakens and Rogue One, so it’s not too difficult to see where this trend is pointing. 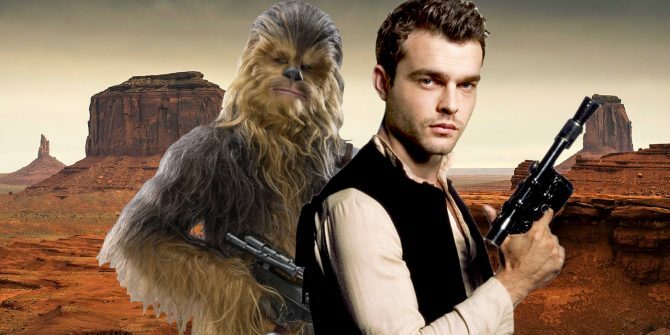 Han Solo, meanwhile, is still filming ahead of its current May 2018 release date. The recent fallout between Disney and erstwhile directors Phil Lord and Chris Miller called that initial launch date into question, but at least for now, and thanks to the hasty appointment of the Oscar-winning Ron Howard, the second of Lucasfilm’s Star Wars Anthology movies remains on schedule. That’s because the Force is still strong in the Han Solo spinoff – according to Woody Harrelson, at least – and while appearing on The Late Show with Stephen Colbert, the War For the Planet of the Apes actor weighed in on the recent speculation surrounding the film’s mysterious title. To cut to the chase, Harrelson went on record to state that Solo is merely the “temporary” moniker assigned to Ron Howard’s spinoff. Four weeks ago, a series of leaked set photos highlighted crew T-shirts and other memorabilia that had ‘Solo’ woven into the fabric, thereby leading many to believe that Disney had settled on a rather minimalist title for its 2018 blockbuster. Turns out that’s not the case – you know, assuming Woody Harrelson isn’t toying with our expectations to retain some semblance of secrecy. 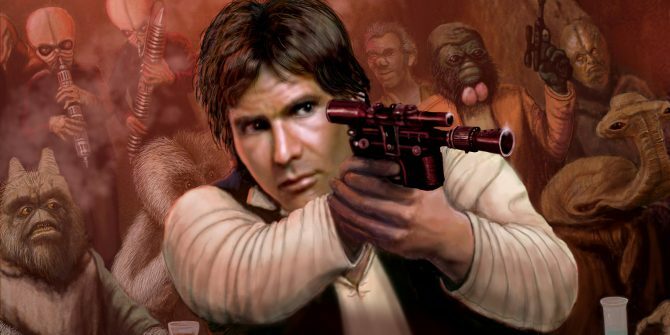 Whatever the case, further details on Disney’s Han Solo pic will likely be revealed this coming weekend in anticipation of its release on May 25th, 2018. War For the Planet of the Apes, meanwhile, marches into theaters on July 14th and is arguably one of summer’s greatest cinematic achievements.